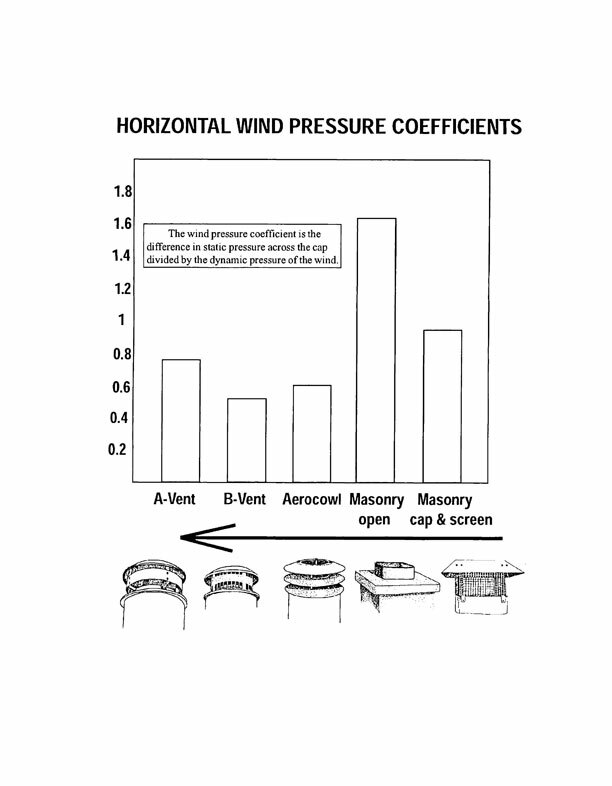 A study done by the Canadian Government on the effect of wind on chimney terminations. These charts show the results for wind horizontal and then at various degrees of downward and upward air currents. Thanks to [[John Gulland of [[Woodheat.org for digging up these charts.